THERE'S BALONEY IN OUR SACKS! aww i miss this show. 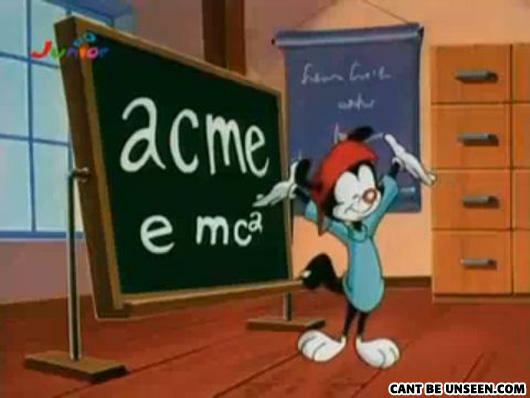 and they say you can't learn anything from tv! acme.. emca I guess the a looks like a 2? They met freaking Einstein in that episode. What else are they going to talk about?